Thanks to torrential rains brought on by a strong mid-March weather system, many local rivers are expected to flood. 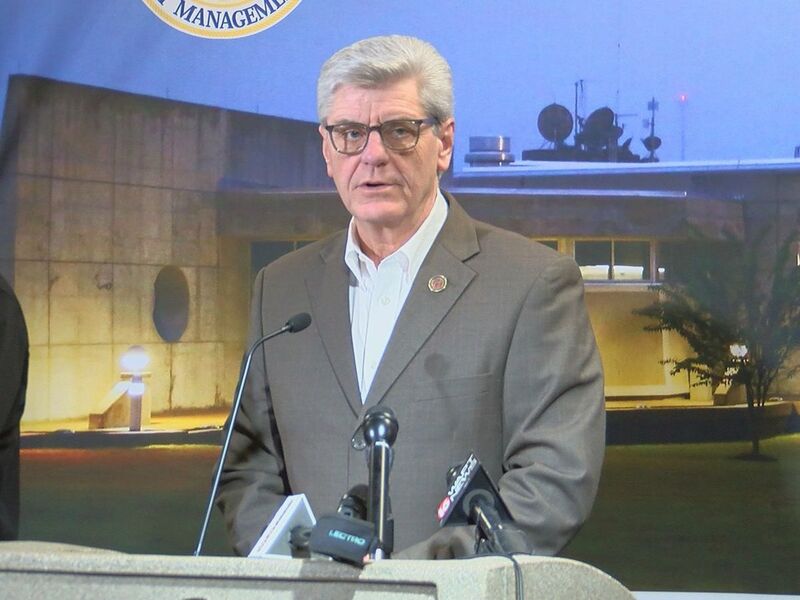 Some river flooding will significantly impact South Mississippi communities. Areas that face the greatest impacts are mainly in Pearl River County. Below are the latest river observations, forecasts, and impacts for the South Mississippi flooding rivers. If a river is not mentioned below, then it is not currently flooding or expected to flood. The Hobolochitto Creeks were both flooding on Sunday morning. The West Boley Creek at McNeil crested on Saturday and was over four feet above flood on Sunday. 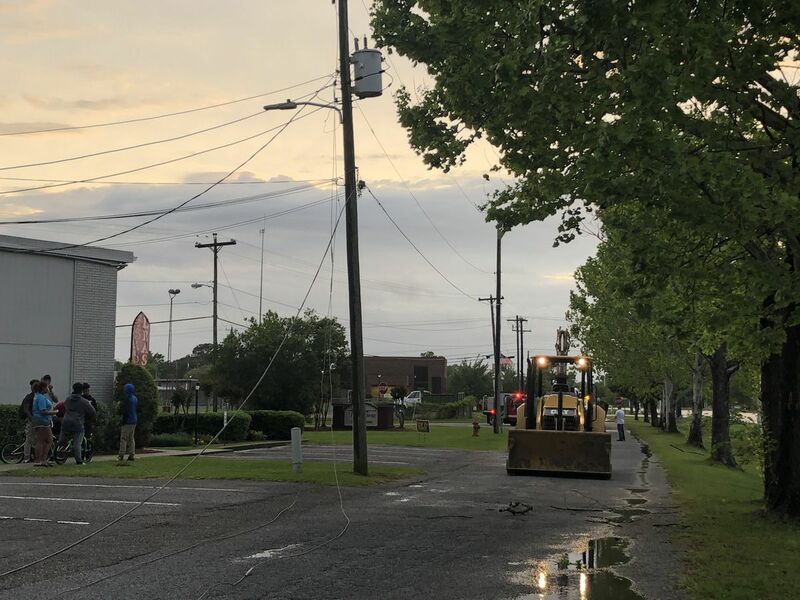 North Beech Road and Palestine Road in Picayune will be impassable. Several homes will be flooded in vicinity of the stream. Flooding threatens structures along MS Highway 43 near the bridge and fills culverts and ditches along bridge approach. 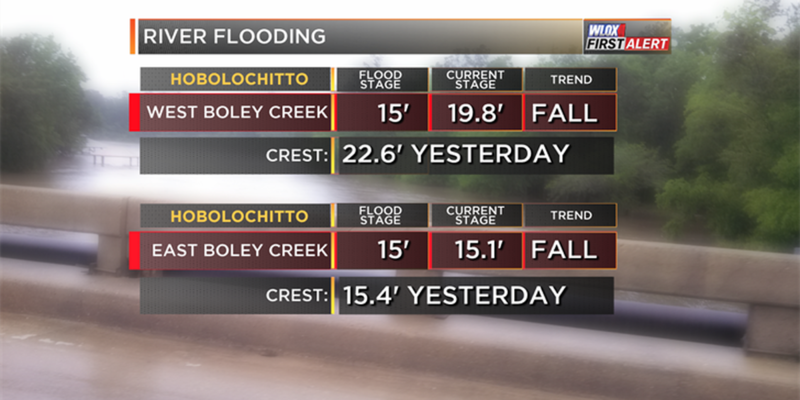 The East Boley Creek at Caesar crested on Saturday and was less than half a foot above flood stage as of Sunday. Water over a few roads in the city of Picayune will cause traffic problems. School bus traffic may need alternate routes. A few homes on Northwood Drive will be threatened. Beech Street and Westchester Subdivision below the confluence of the east and west branches is subject to flooding in low places. The Pearl River continued to flood on Sunday. At Pearl River, LA, it was almost four feet above flood as of Sunday. It is expected to reach seven feet above flood when it crests Monday. This will be a major river flood. Flooding will extend east to Mississippi Highway 604. Low lying areas of Pearlington, MS will flood. The southwest corner of Stennis Space Center west of Mississippi Highway 607 will flood. Major flooding will occur below 14 feet mean sea level along and east of Military Road from the I-59 interchange south to Highway 190. Water will cover portions of I-10 east of Slidell and the roadway may be closed. At Bogalusa, the Pearl River was almost seven feet above flood stage. It is expected to remain near a 22.8' crest through Thursday. Woodlands and crop acreage along the river will be flooded. The Bogue Chitto Wildlife Management area will be inundated with water in recreational camps and over access roads. At 21 feet, property east of Highway 21 along Bogalusa Creek will begin to flood. Bogalusa Creek will back up threatening the Sewage Treatment Plant. Homes south of Bogalusa Creek and east of Highway 21 will flood. The Wolf River above Gulfport was less than half a foot above flood stage as of Sunday. It is expected to reach about one and a half feet above flood stage when it crests to 9.5 feet later on Sunday. Bells Ferry Road will be impassable with deep water on the east bridge approach. The Pascagoula River was flooding on Sunday. At Merrill, it was one foot above flood on Sunday. It will reach five feet above flood when it crests on Friday. Water will cover the roads in Cedar Creek Estates in northern Jackson County. 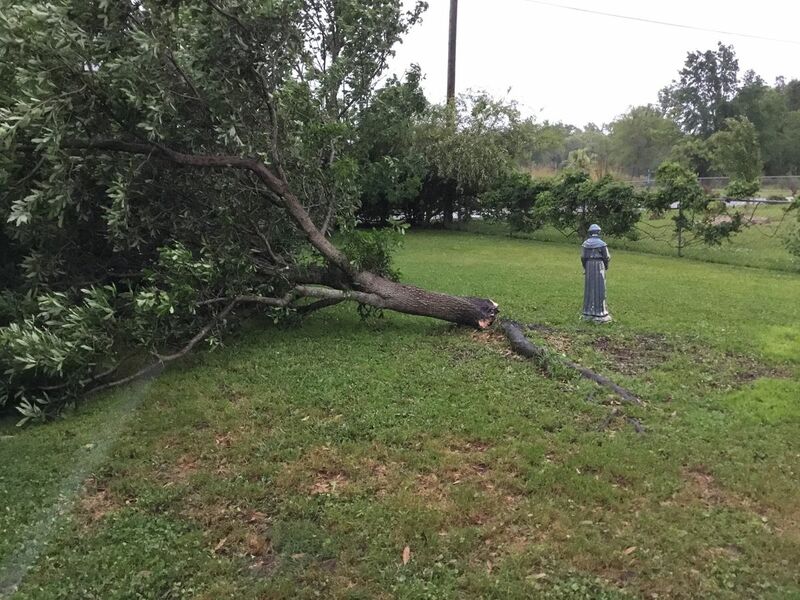 Roads to Cedar Creek Estates will become impassable. Water will be under homes in Cedar Creek Estates. Some roads west of the river will become flooded. Water will cover roads at Smith's Fish Camp in Southern George County. Area lowlands will flood. Water will cover the main road at Plum Bluff in southern George County. Streets and portions of the old business section of Merrill will become flooded. The bridge will become inaccessible by vehicles. Water is under homes in Plum Bluff Estates. Flooding of streets and the old business section of Merrill will occur. Flooding of some residences will occur. At Graham Ferry, the Pascagoula River was three feet below flood stage on Sunday. It will reach about two and a half feet above flood by next Sunday. River property at Cumbest Bluff will be cut off by high water and some river roads will be impassable. The Biloxi River near Lyman is no longer flooding as of Sunday. It crested on Saturday. If you, or anyone you know, live in an area prone to river flooding, please make sure to stay updated on the latest river information. 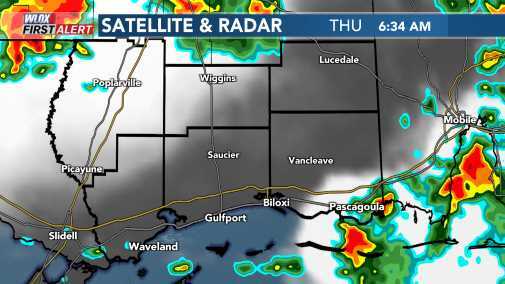 WLOX News Now will continue to provide updates on our newscasts as well as at WLOX.com You can also find the latest official NWS river statements here.